Chopped berries, enough to make one cup. I used strawberries, raspberries and blueberries. Coat the berries in the vanilla pudding. 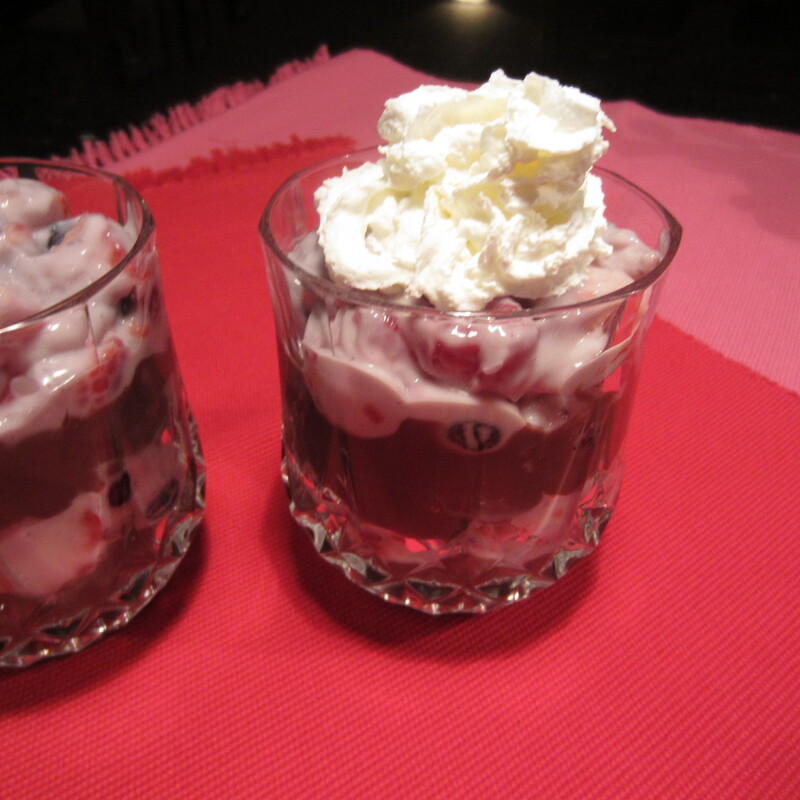 Place 1/2 of the chocolate pudding in a glass and top with the berry mixture. Repeat and then top with whipped cream. Makes one serving that is just under 200 calories. Crumble low-fat vanilla wafers and place between pudding layers. You can also substitute using banana, diced apples, diced pears and blackberries.